Zmodo Knowledge Base - Playback with the Pivot. The Pivot comes with 16GB onboard storage. The Pivot is designed to use the Intelligent recording mode to record video until full, once full it will then begin to overwrite the oldest footage and continue recording. 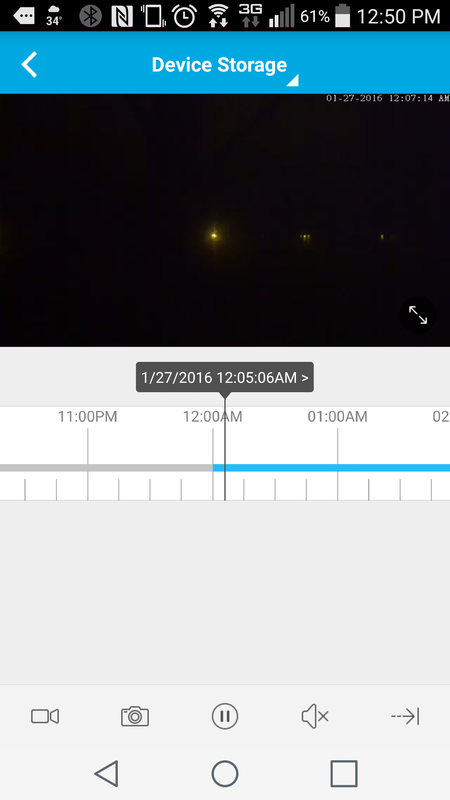 Intelligent recording takes a still picture once every 5 seconds when no motion or events are being detected. Once motion or an event is detected, it will then begin to record at 12 frames per second until the event passes. You are only able to playback through the mobile app while connected to the same network that the Pivot is connected to. 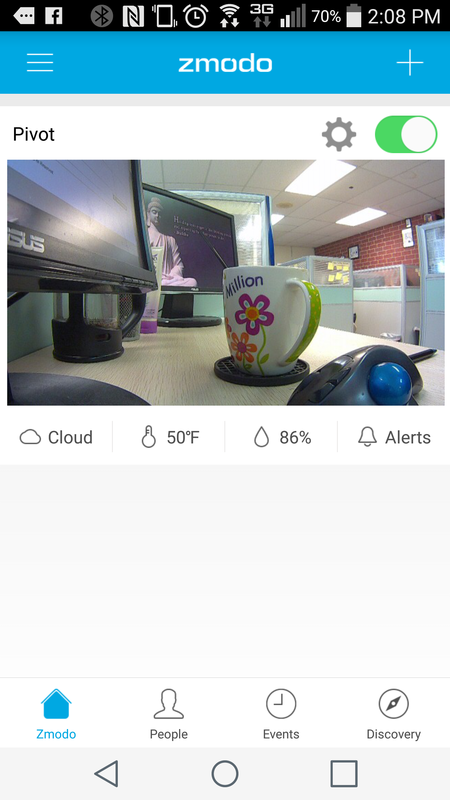 In order to view playback of the Pivots recorded video, first go into the Zmodo app, and tap on the Pivot's camera preview image in order to bring up the live camera image from the Pivot. 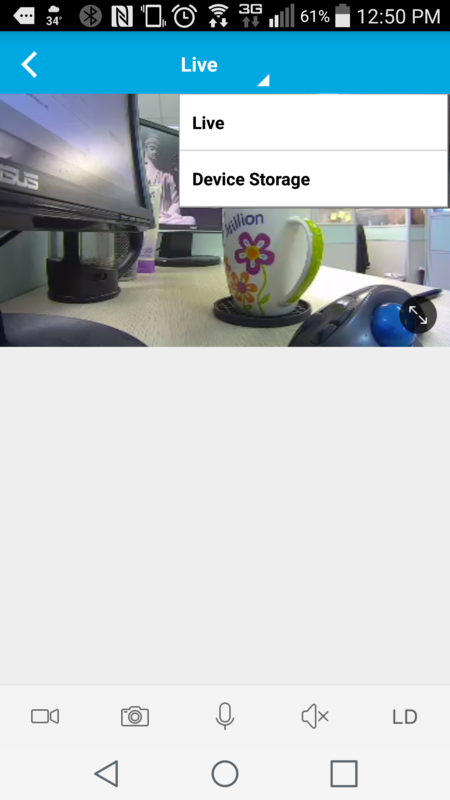 Next, tap at the top of the screen where it says "Live", you should then see a dropdown and you will want to select the Device Storage option there. You should next be prompted to select the day you are wanting to playback, after selecting the day, the playback will initially begin at midnight on that day. 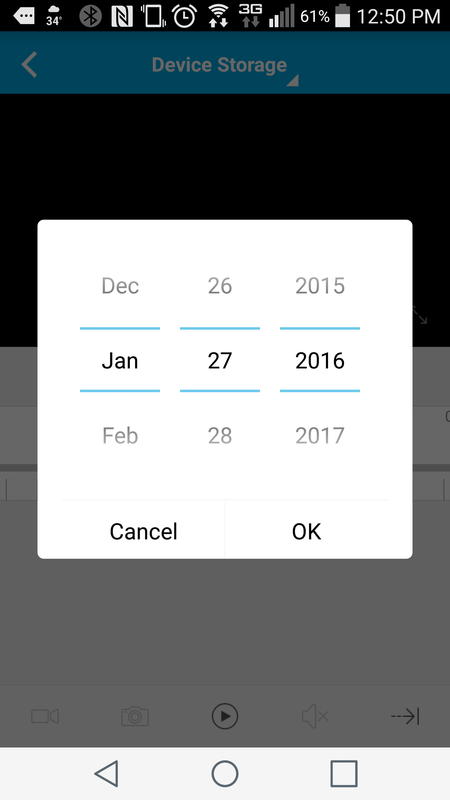 If you are wanting to view a different time, tap and drag the horizontal timeline so that the vertical selector line in the middle is positioned over the time that you want to view.